A little while ago, I posted about a fan film being made here in sleepy Perth. If you’re a fan of the Fallout games, or if you appreciate creative people getting together to do some awesomeness, now is your chance to help them out! They are asking for your help to keep the set alive! With an IndieGogo endeavour, a Facebook page, and their own blog, these guys are intent on keeping people in the loop about their progress and keeping it real. They’re not looking for all of your cash (though I’m sure they wouldn’t mind if you felt the compulsion), but every little bit helps. For the record, I am not affiliated with these guys in any way, other than being a fan of awesomeness. I just think we ought to get behind those teams of people who seek glory on the battlefield of fan films! Ahem… Yes. Assist them in any way possible. Even $5 helps. If you can’t assist financially, they still need to know you support what they are trying to do, so head to their blog to keep up with all that’s happening on set, and check out their Facebook page for more updates and to ask them questions about it all. Spread the word! Okay, so you may have guessed I am something of a geek. I like things that are a little … “different” from the “ordinary” girly likes. Don’t get me wrong. I like high heels, makeup and stupid restrictive clothing as much as the next goth girl who is into that stuff, but I also like nerf wars, getting grass and leaves in my hair from combat rolls, wearing combat boots and jump suit and sniping players from a distance. To this end, the Fallout games suit my sensibilities perfectly. I can sit at home in my pretty pretty clothes and make believe that I’m roaming the nuclear wastelands in naught but what I have scavenged from radioactive mutants and Jet-heads. I love it! I love that there are so many ways to work through a problem. Sometimes it calls for sheer brute force, sometimes thinking outside the box. I love that the world that Bethesda created is so immersive. It has to be one of the most addictive and crazily involving game worlds around. Now, I like other games. I’m also into FPSs (First Person Shooters), RPGs (Role Playing Games) and RTS (Real Time Strategy), but I can’t help but feel that the Fallout series has really encapsulated all that each of these other gaming types has to offer and rolled it into one beautiful package. If you’ve never tried them, take a look. Start at the beginning, and play a bit of each, keeping in mind the context in which they were released. I don’t normally like using wikipedia as a reference (thank you Uni for that) but this one is pretty well written and accurate. So, get yourself a Geiger Counter and get out there! Now, like any good past time, there are people who will take the initial ideas presented and make something out of it. We call these people fans, and we love them, bless their cotton socks. Yes, I’m including myself in this group. I own some Nuka Cola caps (stockpiling them for when the nuclear bomb goes off. I may also be working on a post-apocalyptic cosplay costume, but that’s just between you and me (yes, I’ll probably document it here). There is, however, a dearth of information out there on how to make your own props and costuming items. Most coveted among these is the Pipboy3000. It is the item, during the games, which shows the player stats and journal items, and also allows for Stimpack and other item use. If you were clever enough to buy a limited edition of the Fallout3 game, you got a clock radio that many lucky sods have then turned into a pipboy for their own use. Now, I saw one on ebay, but it was insanely priced (over a grand! ), so there went that idea. Also, given that I have much smaller arms and wrists than the average pipboy user, it would just look stupid if I were to try and make it work. Instead, I will be making one from scratch. Yes… That’s right. I have traded one kind of insanity for another. In other fan-made Fallout-ness, there is the Nuka Break short video series. These are up on youtube and, just quietly, they also show you how a lot of the props were made here… I love it for its simplicity in story line. One character is simply looking for all the Nuka Cola left.I’m sure there’s other stuff that happens, but that is the basic premise; one guys looking for a drink, misadventure follows. The main character is from outside the original storyline of the games, but is definitely believable. 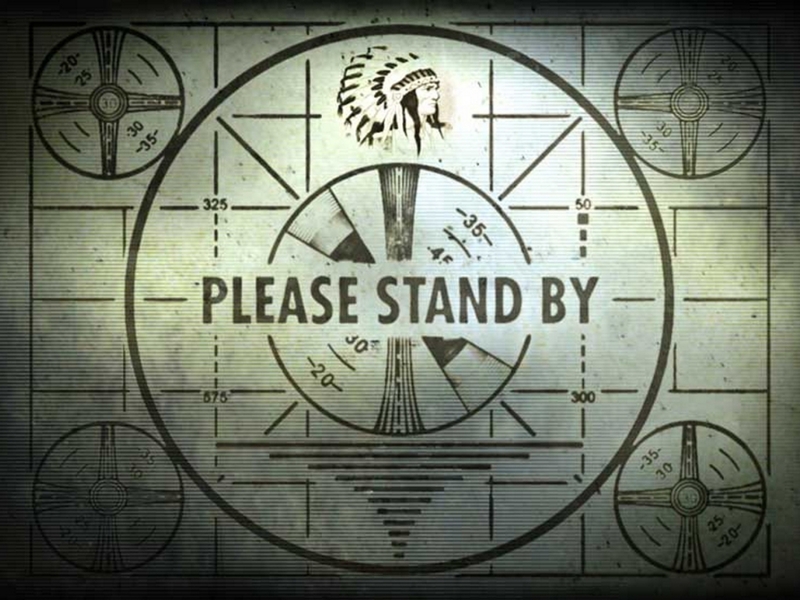 I am super super super super excited about this latest project, set to send shock-waves through the Fallout community. Fallout: Lanius is a fan-film set for production in little ole Perth, Western Australia. If you remember form last entry, I was talking about crowd-sourcing? Well, these guys will be employing that method for obtaining … whatever it is they need. Extras and the sort I imagine. Watch this space. 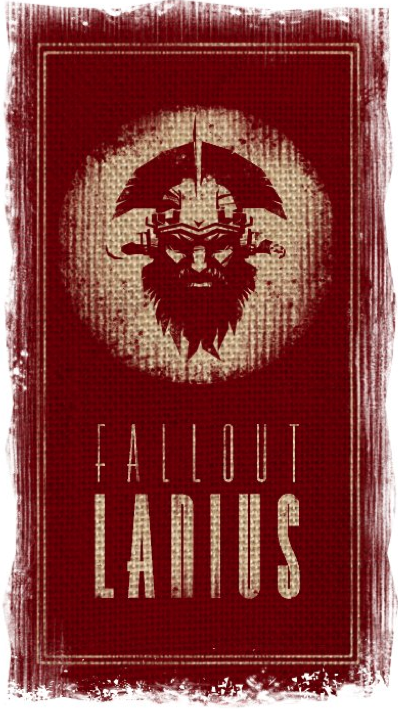 Fallout: Lanius follows a character from the 2010 release Fallout: New Vegas, Legate Lanius. I have to say, when I saw the stand at Supanova, my little fangirl heart missed a beat and I may have gotten a little teary. This will be a not-for-profit endeavour and I CAN’T WAIT!!! They also have a Facebook page you can keep up to date via. They have gathered interest in such far-flung reaches of the world as Spain, Croatia, Russia, Japan and France. It would seem I am not alone in my enthusiasm. So why do fans make stuff? Isn’t the original material enough? Well, imagine you like a sporting team and that team only plays three games a year. You’d want to enjoy more of that team playing, right? So what do you do? Play office fantasy sports? Seems legit. Get involved in lengthy debates with your friends about “what if your tam were to meet this team under these conditions? Who would win?” Well, it’s that kind of “what if” that gets fans making their own projects. Sometimes the original story lines don’t cover all the side stories that arise. Why is that character like that? Where did that thing come from? What would happen if these guys met each other? It’s those sorts of questions that get played around with during fan projects and, if done properly, can actually turn out really well. So, you’ve checked out the games, and you’ve thought about the Fallout world. Want to get more involved? WATCH THIS SPACE! 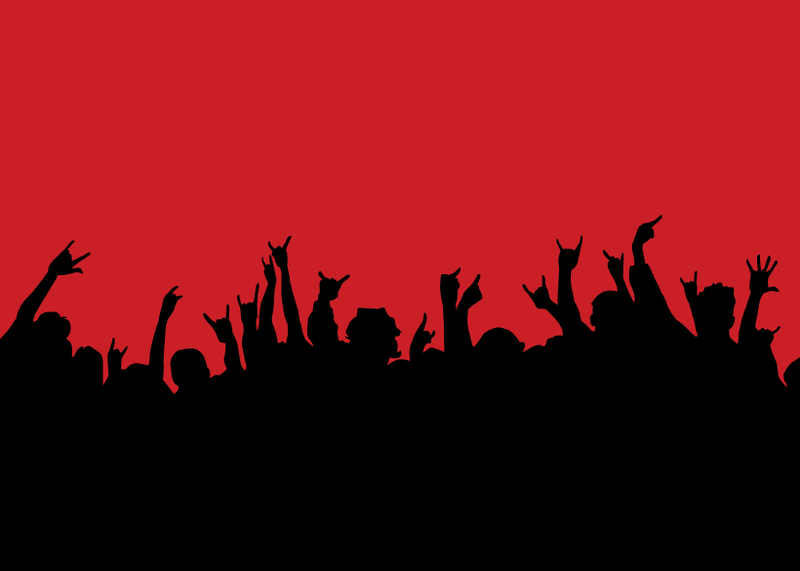 Crowd-Sourcing – Why It’s The New Way To Get Things Done. In case you’ve been living under a rock this past decade, there’s this New Thing called “crowd-sourcing” and it’s here to take over how we thought things got done. With the world having been so heavily driven by “what’s in it for me” and the Next Big Thing, we sometimes forgot that there were still small groups working on projects that deserved just as much attention as the over-publicised ones. The only reason we didn’t hear about them so much was because the companies who had invested so much money into these projects were seeking the best Return on Investment (ROI: it’s a real thing) and this drove the producers to flood the market with merchandise and marketing to drive us all insane. So what about the little guys? What about the people sitting at home on their computer making their “small time” film, music project, art work, etc etc etc? Where do these guys fit in? Step One: Make people aware of your project. Step Two: Make sure your project “has legs”. Step Three: Publicise that you’re looking for extras, crew, make-up artists, costumers, etc etc etc. Step Four: Get Things Done. These days there are many platforms for hosting and tracking your crowd sourcing, but why would you want to do it? Why would you want to trust your project to potential no bodies? Wouldn’t you rather just pay people to do good work? Well, the answer is simple. Not always. Imagine, for a moment, that you are a group of fans, gathering to organise … let’s say … a fan film, based on some kind of awesomeness you all enjoy. You probably don’t have a budget or, if you do, it’s not the blank check the guys from the Matrix had. You still need camera crew, lighting, sound, make-up artists, costumes, sets, locations, logistics, catering, electrical, post-production. Depending on what kind of a film you’re intending to make, you may also need special effects make-up, special effects in post-production, greensmen, pyrotechnics, animal wranglers… Oh, and you’ll probably want some actors too. Ordinarily a movie budget may run into billions of dollars. At the very least, it’ll be millions. If you can fundraise that much for your fan film, power to you! Let the rest of us know how you’ve done it. Write a book on it and profit from your knowledge! For the rest of us mere mortals, crowd-sourcing it is! You advertise, generally for the positions not requiring so much technical knowledge. Things like extras, or logistics. You will have, generally, already asked friends and family and friends of friends to the nth degree, for the crew and lead actors. 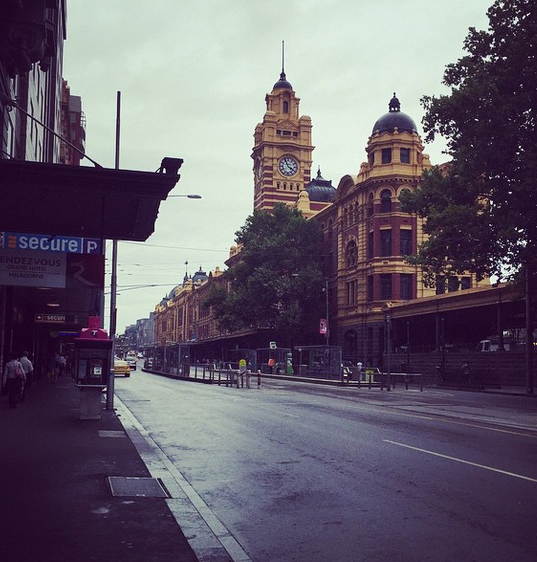 Crowd-sourcing is most usually utilised to fill in the gaps. Going hand in hand with crowd-sourcing is crowd-funding but that, boys and girls, is a story for another day. Well, you’re a fan of product x, right? You want to make a film that amounts to a side-story. Why wouldn’t you also want other fans in on the action. I mean, ultimately they’re the ones who are going to be buying, downloading or otherwise using your product, so why not get them involved? They know, better than any other Joe Bloggs off the street, what is required in their costuming and, nine times out of ten, will provide their own outfits and make up, saving you money and time: two Very Precious Things. The final article is a good piece on other applications for crowd-sourcing.